Imagine you are among the first to see a Broadway-bound musical with an international cast of performers, a six-piece orchestra, New York-quality production values, and a rich musical score featuring 17 new songs. The story of the musical is pure fantasy, but your opportunity to attend the musical’s debut production is entirely real. The show is called Bikers in Camelot, and it is the work of the wife-and-husband team of Wendy and Ken Bichel, both New York theater veterans. Wendy, who wrote book, music, and lyrics, performed one-woman shows in New York for over a decade, received a master’s in music theater writing on full-fellowship from New York University, and wrote several successful musicals, including one commissioned by New York’s Public Theater. Ken performed in and conducted numerous Broadway shows, garnering a Drama Desk Award in the process. 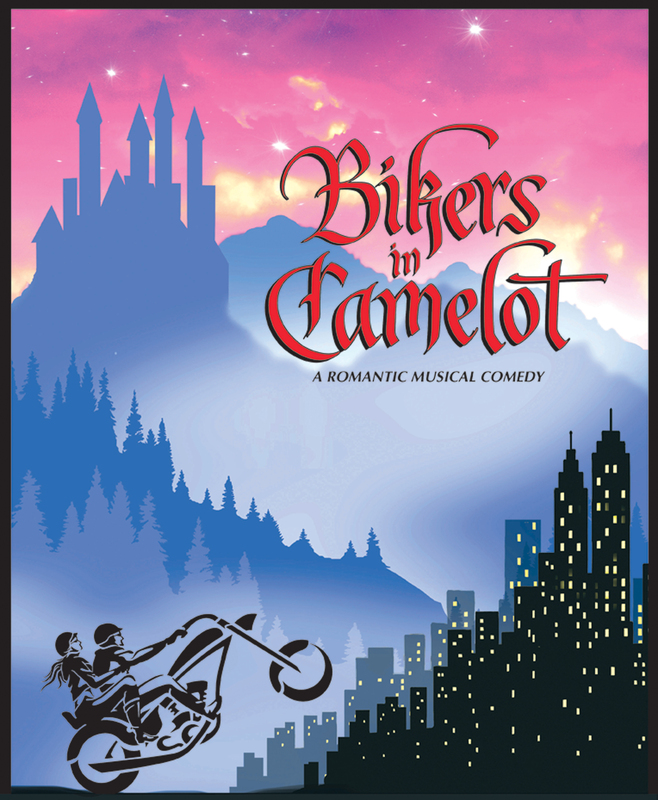 Bikers in Camelot is a four-character musical romp, a romantic fable with a supernatural twist. Two authors, live-in lovers, are at a critical point in their relationship. Michael, who writes biographies of Victorian women, proposes to Holly, who pens chivalrous sci-fi fantasy. But the timing is terribly wrong, and in the throes of a nasty argument, the authors somehow conjure up characters from their own books — their fantasy lovers made flesh. What ensues is a crazy and instructive night, in which Michael and Holly learn the wisdom of the adage “Be careful what you wish for.” Of course, the authors rediscover one another…but their dream lovers have no intention of dematerializing. For those who do not wish to purchase online, advance-sale reserved-seat tickets can also be purchased for 400 and 350 pesos at the Boleto City ticket desk on the second floor of the Mercado Sano, Ancha de San Antonio 123, Monday through Saturday, 11am to 5pm. Tickets (if still available) can be purchased at the door of the theater starting one hour before showtime.